With microblading, you’re saving time. Applying makeup to your eyebrows every single day takes time, which you could spend sleeping in or getting your day started sooner. Instead of spending 20 minutes every morning filling in the gaps of your eyebrows, enjoy microblading for a full and natural appearance that lasts for years. You won’t accidentally wipe off your eyebrows or smudge them when you have microbladed brows. Microblading also adds thickness to the brows. If you’ve always wanted thicker eyebrows, but have not been able to achieve this look with makeup, microblading is for you. Microblading resembles natural hair, so you can have thick eyebrows that look like they’re natural, even if you have naturally thin brows! Microblading even adds fullness to your brows, increasing the amount of volume and dimension to your face for a flattering look. Before your microblading appointment officially starts, there are a few things we cover. First, education. We like to let you know exactly how microblading works so you know exactly what to expect. For more details on microblading, feel free to browse our website for helpful resources. The second step in preparing for your microblading appointment is receiving the numbing cream. We use numbing cream to make the process as comfortable as possible. Finally, we draw the shape of your eyebrows before we start the microblading process. Every client is different and no two sets of brows are the same. We will customize your brows to your face shape and hair color for a look that is all your own. 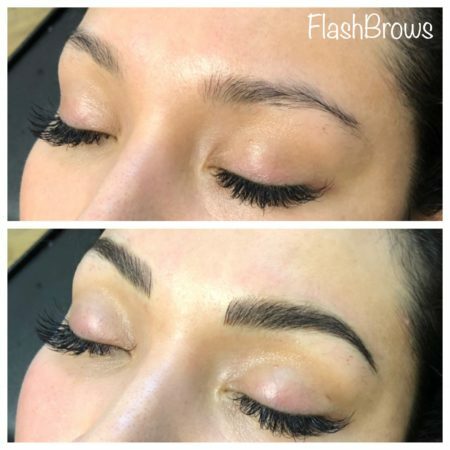 To schedule your Dallas microblading appointment with Flash Brows by Heather Gordon, visit our website or give us a call at 972-804-4555 today!